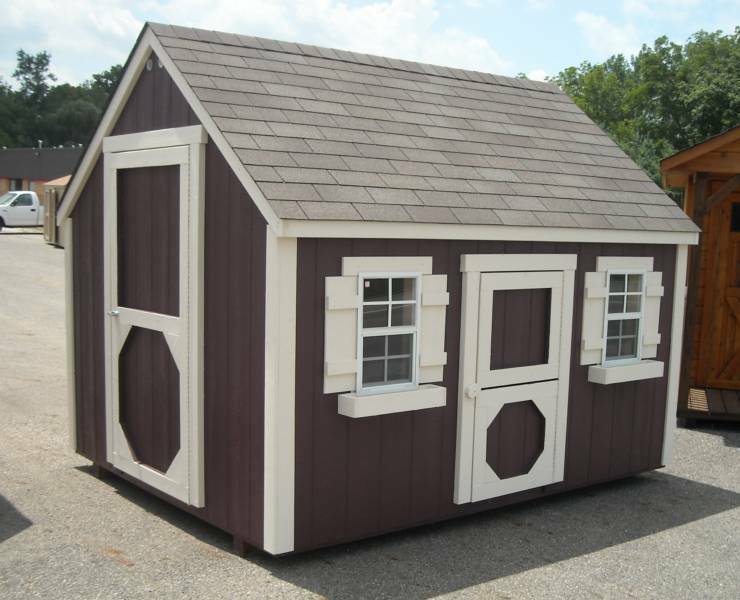 Playhouses are available in two Models.The Classic Playhouses & The Cain Playhouse. 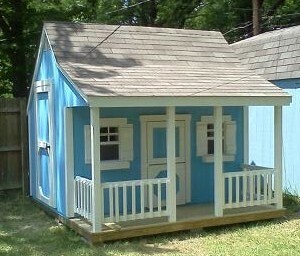 Both include a Childs size split Door, An Adult Door, 2 kids windows with screens, & a Play loft with ladder inside. All prices include Delivery & Installation. All materials are the same as our high quality sheds. Play loft with ladder is standard. Flower Boxes for windows are additional $25 each.